The Charter of the Arab League is the founding treaty of the Arab League. The agreement was concluded on March 22nd, 1945 by the governments of Syria, Transjordan (Jordan as of 1950), Iraq, Saudi Arabia, Lebanon, Egypt, and North Yemen (Yemen as of 1990). The Charter endorsed the principle of an Arab homeland while respecting the sovereignty of the individual member states. The internal regulations of the Council of the Arab League and the committees were agreed to in October of 1951 and those of the Secretariat General in May of 1953. The following countries later joined through means of the Arab League Charter:Libya (1953); Algeria (1962); Mauritania (1973); Sudan (1956); Bahrain (1971) Somalia (1974); Morocco (1958); Qatar (1971); Palestine (1976); Tunisia (1958); Oman (1971); Djibouti (1977); Kuwait (1961); United Arab Emirates (1971); Comoros (1993). The Charter consists of 20 articles that define the aims that the League and its affiliate bodies should achieve, the shape of relations among member-states, and other matter of relevance. Characteristically, the Charter is an all-embracing document that sets out a wide range of potential areas for joint Arab negotiation and action. The Charter allows for member-states that wish to develop further cooperation and create closer ties to do so by concluding whichever accords they deem necessary to achieve those targets. The charter is amendable only if approved by the majority of two-thirds of the twenty-two member-states, with the objective of maintaining a world of peace and security. Two more documents have been regarded as complementary to the Charter; namely, the Treaty for Joint Defense and Economic Cooperation, concluded on March 13, 1950, and the Charter for National Economic Action, which was issued on November 26, 1980. All League member-states have become parties to both instruments. Article 1. 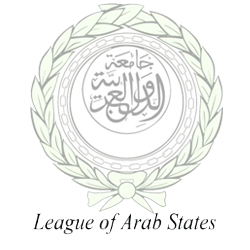 The League of Arab States shall be composed of the: independent Arab States that have signed this Pact. Every independent Arab State shall have the right to adhere to the League. Should it desire to adhere, it shall present an application to this effect which shall be filed with the permanent General Secretariat and submitted to the Council at its first meeting following the presentation of the application. Article 2. The purpose of the League is to draw closer the relations between member States and co-ordinate their political activities with the aim of realizing a close collaboration between them, to safeguard their independence and sovereignty, and to consider in a general way the affairs and interests of the Arab countries. Article 3. The League shall have a Council composed of the representatives of the member States. Each State shall have one vote, regardless of the number of its representatives. Article 4. A special Committee shall be formed for each of the categories enumerated in article 2, on which the member States shall be represented. These Committees shall be entrusted with establishing the basis and scope of co-operation in the form of draft agreements which shall be submitted to the Council for its consideration preparatory to their being submitted to the States referred to. Article 5. The recourse to force for the settlement of disputes between two or more member States shall not be allowed. Should there arise among them a dispute that does not involve the independence of a State, its sovereignty or its territorial integrity, and should the two contending parties apply to the Council for the settlement of this dispute, the decision of the Council shall then be effective and obligatory. Article 6. In case of aggression or threat of aggression by a State against a member State, the State attacked or threatened with attack may request an immediate meeting of the Council. Article 7. The decisions of the Council taken by a unanimous vote shall be binding on all the member States of the League; those that are reached by a majority vote shall bind only those that accept them. Article 8. Every member State of the League shall respect the form of government obtaining in the other States of the League, and shall recognize the form of government obtaining as one of the rights of those States, and shall pledge itself not to take any action tending to change that form. Article 9. The States of the Arab League that are desirous of establishing among themselves closer collaboration and stronger bonds than those provided for in the present Pact, may conclude among themselves whatever agreements they wish for this purpose. Article 10. The permanent seat of the League of Arab States shall be Cairo. The Council of the League may meet at any other place it designates. Article 11. The Council of the League shall meet in ordinary session twice a year, during the months of March and October. It shall meet in extraordinary session at the request of two member States whenever the need arises. Article 12. The League shall have a permanent General Secretariat, composed of a Secretary-General, Assistant Secretaries and an adequate number of officials. Article 13. The Secretary-General shall prepare the draft of the budget of the League and submit it for approval to the Council before the beginning of each fiscal year. Article 14. The members of the Council of the League, the members of its Committees and such of its officials as shall be designated in the internal organization, shall enjoy, in the exercise of their duties, diplomatic privileges and immunities. Article 15. The council shall meet the first time at the invitation of the Head of the Egyptian Government. Later meetings shall be convoked by the Secretary-General. Article 17. The member States of the League shall file with the General Secretariat copies of all treaties and agreements which they have concluded or will conclude with any other State, whether a member of the League or otherwise. Article 20. The present Pact and its annexes shall be ratified in accordance with the fundamental form of government in each of the contracting States. The present Pact has been drawn up in the Arabic language in Cairo and dated 8 Rabi al Thani 1364 (March 22, 1945), in a single text which shall be deposited with the General Secretariat. ANNEX ON PALESTINE At the end of the last Great War, Palestine, together with the other Arab States, was separated from the Ottoman Empire. She became independent, not belonging to any other State. The Treaty of Lausanne proclaimed that her fate should be decided by the parties concerned in Palestine. Therefore, the States signatory to the Pact of the Arab League consider that in view of Palestine’s special circumstances, the Council of the League should designate an Arab delegate from Palestine to participate in its work until this country enjoys actual independence. ANNEX ON THE APPOINTMENT OF SECRETARY-GENERAL OF THE LEAGUE The States signatory to the present Pact have agreed to appoint Abd Al Rahman Azzam Bey Secretary-General of the League of Arab States.